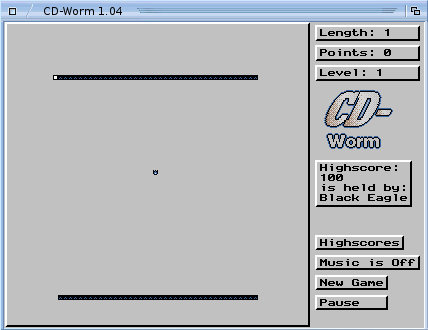 Short Description CD-Worm is a funky snake game "clone". a snake/worm around in a window. white squares and eat them all up. the game speed will increase.